With the Early Learning Homeschool Planner from Jules & Co, you’ll get all the tools you need to set- and reach– early learning goals for your child. Get inspired. Get organized. Dream BIG! Download your planner and make your tot-school or pre-school goals a reality! A little organization goes a long way toward success! 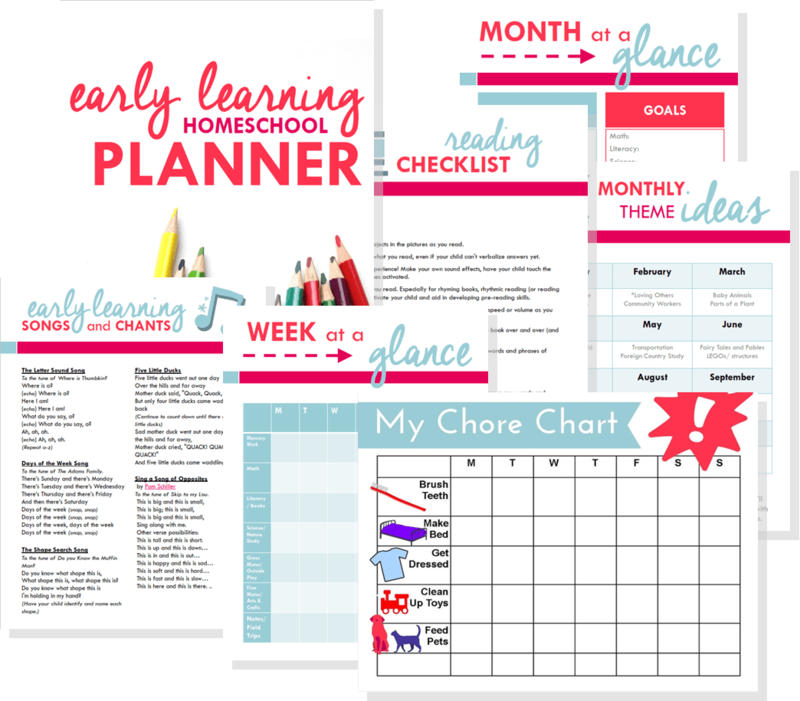 Get your early learning game plan in place the easy way with my printable homeschool planner. A little organization goes a long way toward success! Get your early learning game plan in place the easy way with my printable planner. Planning space for every part of your child’s early learning experience: math, literacy, science, memory work, gross and fine motor, field trips, books, and habit training! A how-to guide with my best early learning homeschool advice. Reccomended theme ideas for every month of the year. My favorite early learning songs and chants, in an easy printable format. A custom chore sticker chart. Just print and go! Steal my secret to a zero-fuss morning routine + get your homeschool off to a great start. My reading checklist to get you started rocking read-aloud time like a boss. Extra notes pages to jot down inspiration as it strikes! 30 Day Money Back Guarantee! If my planner doesn’t meet your expectations, I’ll send you a prompt and happy refund, no questions asked! Instant access! This printable homeschool planner pack is available through a PDF download, so you can start planning and teaching right away. Hey there, mama! 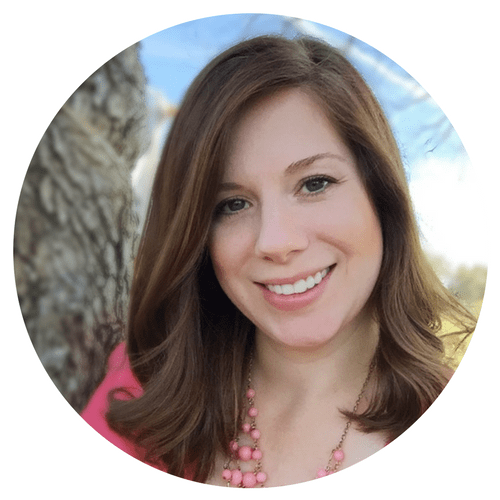 I’m Julie, a former teacher, and current stay-at-home mom. I’m so excited to share my Early Learning Homeschool Planner with you. I know first-hand how overwhelming it can seem to teach all those early learning skills to your little one. So many milestones, so much to learn! That’s why i created this planner… I think it should be easy to get organized for learning success! I’m always looking for ways to help you simplify and truly enjoy teaching your child. Are you ready to set and reach BIG goals with your little ones? Me too, let’s do this!